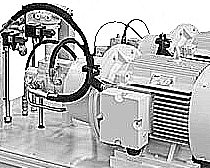 Required pump output for hydraulic cylinders ranging 1 - 6 1/2 inches are indicated below. Multiply pump capacity with stroke length (in). Engineering ToolBox, (2009). Hydraulic Pump Volume Capacity . 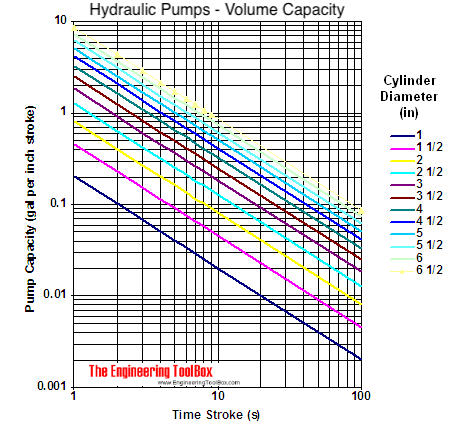 [online] Available at: https://www.engineeringtoolbox.com/hydraulic-pump-volume-capacity-d_1465.html [Accessed Day Mo. Year].